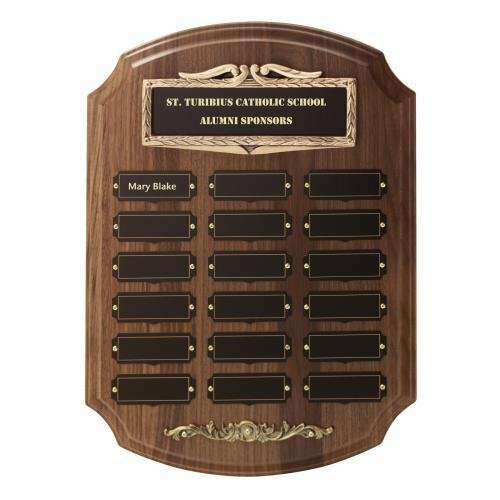 Antique bronze finish laurel wreath plaque castings compliment the black brass header plates and give your recognition program distinction. Our richly appointed solid walnut perpetual plaques make earning a place on the plaque an achievement of merit. Imprint is on header plate only. Artist Kurt McVay hand crafts and signs his iridescent diamond shaped art glass award creations which are as dramatic as they are beautiful. Includes stand. McVay art glass is laser engravable. 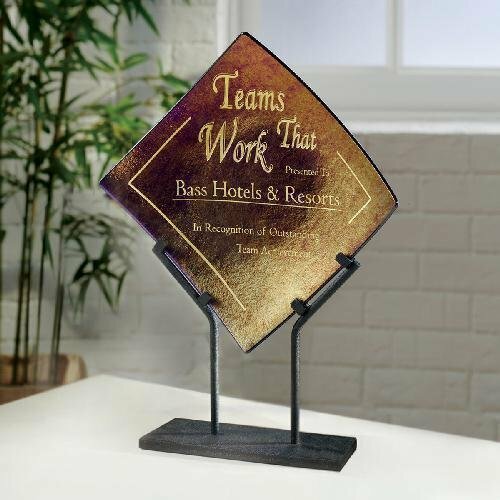 This lustrous bronze tone metallic finished plaque holds suspended beveled premium jade glass. 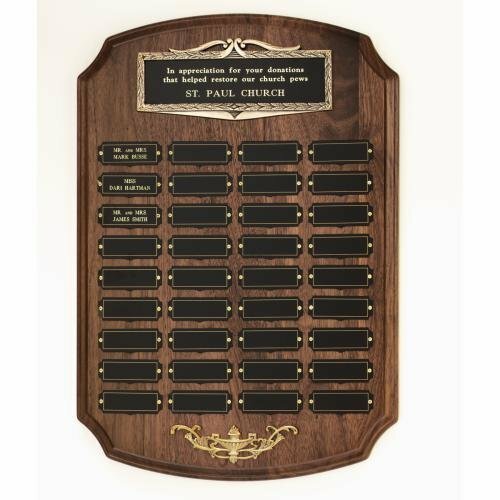 The Cambridge Jade Plaque is stunning in character with ample room for an etch - choose this recognition award for the next event. This exclusive design adds distinction and class to worldwide endeavors worthy of recognition.